Have you ever been on a flight and they come down the aisles with a big bag to collect your small change or unwanted currency for charity? Or you may have been on a flight and been offered a charity scratchcard which may cost a couple of euros but ‘most ‘of the proceeds go to charity and what’s more you may win a million euros, that’s if you are the lucky annual winner and pick the right envelope of course. Alternatively, if you can’t find your purse or wallet in time on the plane you can pop down to your local supermarket and many of them have a charity collection box at their bureau de change and you can offload your 5, 10 and 50 cent coins before they get stashed in a drawer somewhere forever. But have you ever wondered what actually happens to your donations once you have placed them in the airline bag or the box at the bureau? We had a look to find out. Easyjet, TUI and British Airways are examples of holiday companies that will collect in-flight donations and Ryanair have, not without criticism, had a charity scratchcard scheme. All of these companies have big charity relationships and they raise many millions of pounds each year for various causes around the globe. They don’t just rely on the generosity of their airline passengers, they have many ways to achieve donations ranging from your purse digging funds of €1.80 in 20 cent coins to massive corporate fund raising events; its reassuring to know that however small, your money will contribute to the pot. Easyjet for example have a partnership with UNICEF and in 2017 the partnership raised over £1.5 million, which included the on-board collections and other fundraising activity by easyJet employees and met its fundraising target of £10 million. TUI, formerly known as Thomsons, has set up the TUI Care Foundation which donates millions of pounds every year to projects as diverse as saving marine turtles to setting up education programs in the Dominican Republic. In a similar vein British Airways have a charity programme called Flying Start which has teamed up with Comic Relief to help projects all over the world. It would seem that most of the big airlines have charity partnerships and a big flag up to them for the great work they do across the world so next time you are on a flight and they come round with the collection bag, have an extra fumble for that small change. The author regularly puts his leftover currency in the charity box at the local Sainsbury’s Bureau de Change so I was curious as to how they converted and spent it. The travel money kiosks at Sainsbury’s and Tesco are actually run by Travelex. 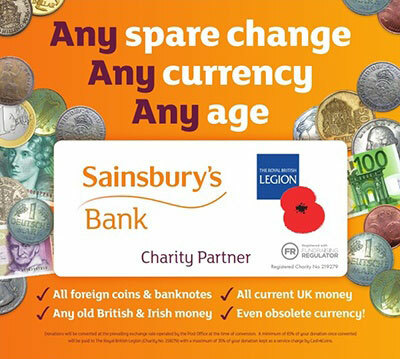 Although each Sainsburys store has a nominated local charity which benefits from in-store charity donations slected by local shoppers, the proceeds of the travel money collections go to the Royal British Legion. 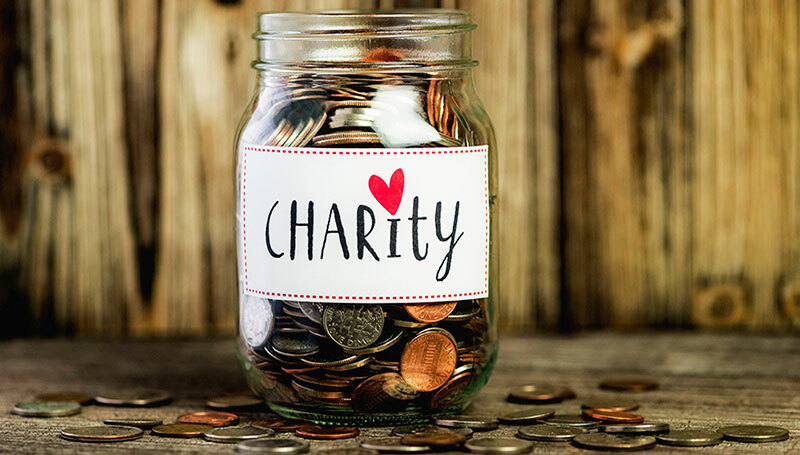 The donations are collected and exchanged by cash4coins, a company that converts charity collections for some of the largest UK companies so if you have deposited your leftover travel money in a charity box near you then the chances are it has been converted by cash4coins. However, this company takes a whopping 35%, more than a third in commission for the privilege. What this little insight shows is that no doubt charities across the world benefit from your donations of leftover currency however small, but what percentage of your generosity actually reaches the nominated recipients after all the processing fees and charges is open to question but despite that, its still better to donate it than have is gathering dust in a cupboard drawer! 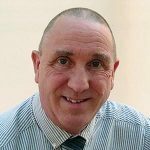 Another great alternative, is to seek out your nearest foreign exchange dealer and exchange your surplus travel money for GBP and donate it that way. More of your donation will reach your nominated charity and on our sell currency pages we make it easy for you to find your local buyer but be aware that the buyers that take coins will usually only take larger denominations so the 5c and 10 cents will still have to go in the bag! Next PostNext Travel money: Home or work delivery?